The best way to plan a funeral in Australia or let your loved ones know about your funeral wishes is to create a funeral plan with eziFunerals. IT’S FREE! You’re in total control. 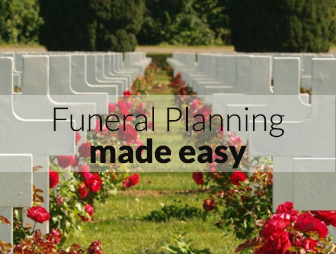 You’ll be guided step-by-step through the process of how to plan a funeral. In a matter of minutes, you’ll have created a personalised funeral plan that records all your funeral needs. Each section has help text to guide you through the funeral planning process. To show the hidden help text, click the (?) buttons at each question. We’ll generate an online preview of your funeral plan for you to check. The convenience of online technology means you can plan a funeral anywhere any time you want. You’re able to stop and resume the funeral plan at your leisure. eziFunerals is a FREE online funeral planner that supports individuals and families cope with end of life decisions, death and funerals. We are an independent, Australian-owned and operated company, and are not a subsidiary of any other corporation. We are not part of any other funeral company. eziFunerals supports consumers plan a funeral, compare prices and select the right funeral director anywhere, anytime.